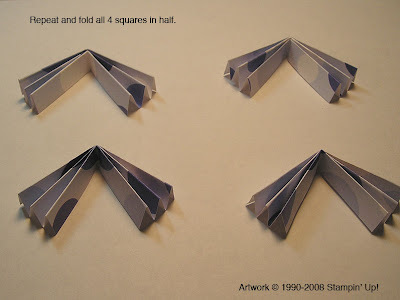 First, decide how large you want your rosette to be and cut four squares to that size. For the ones in this vase, I started with 3" squares for one and 4" squares for the other. 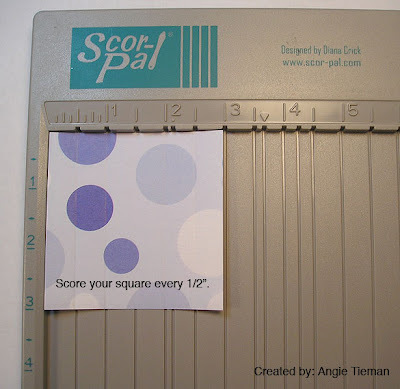 Then score the squares every 1/2". 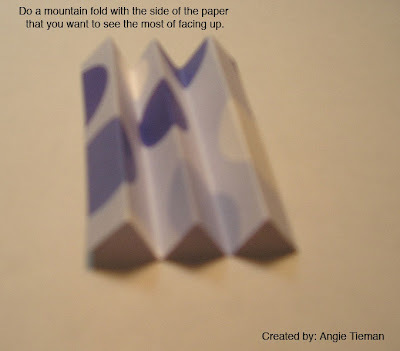 Next, take your four mountain folded pieces and fold them in half. 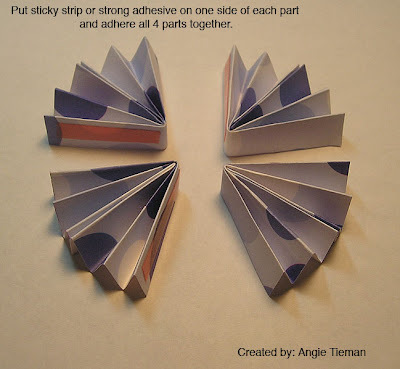 Next, put sticky strip or strong adhesive in the center of each piece and close them up. Next, put sticky strip or strong adhesive on one side of each part and adhere all four parts together. Just an FYI, the rosette on the pillowbox below started as a 2" square. The rosettes on the gift bags below started as 4" squares. FYI, I'm pretty sure, like 90% sure, that I read how to do these in Matthew Mead's Halloween Book that's on newsstands now (with the magazines). He is sooo talented. He's often featured in Country Home magazine, and I have an awesome special Christmas issue that he did last year. Definitely go to his website, he has tons of resources and free Halloween templates and other downloads too! If you have any questions, feel free to email me! I hope this helps! Thanks for your interest in these, I'm glad you liked them! If you make some, be sure and post the link here so we can check them out! Hugs and happy stamping! SOOOOOOO CUTE! I might just have to give that a whirl. You've been creating like crazy! Oh, my gosh! This is fantastic! Thank you so much for the directions...I will have to try it! OMGosh, Angie! You have outdone yourself--too, too cute!!! 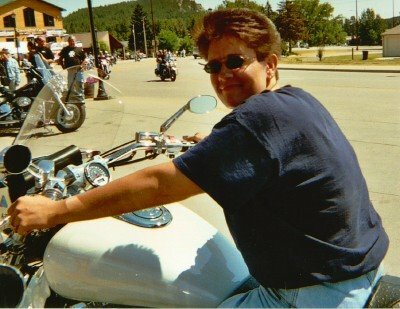 Yahoooo Angie! I've been meaning to ask you for a tut on the Rosette's! Thanks sooo much! I love your rosettes! Thanks for the tutorial! Thank you so much for this tutorial! I love your rosettes! Thanks for the great tutorial, Angie! I've got to make one of those. Hmmm, I need a scor pal! ;-) Have a nice day! Thanks for the great tutorial! 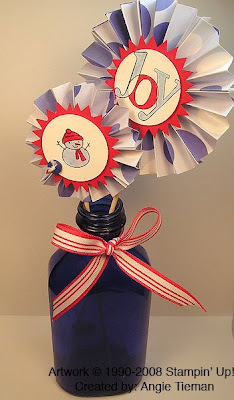 Cute projects as always! yeah!!! I was waiting very patiently for the "how-to" on these!! 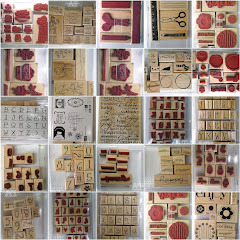 Thanks for sharing...I can't wait to make a few! 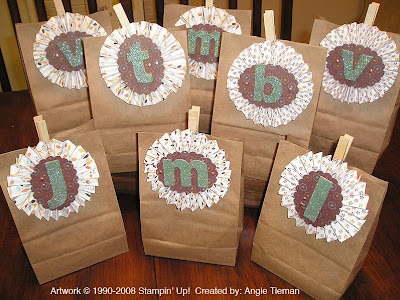 Great projects and a wonderful tutorial TFS. 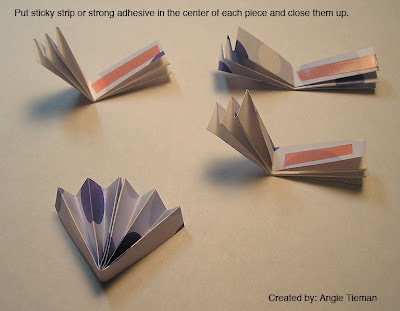 Fabulous tutorial Angie - I've been wanting to learn how to make these - but I really want a Scor Pal now too!! 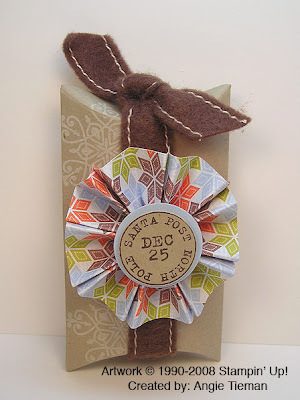 Love all the different ways you used the rosette too!! Super cute and awesome awesome tutorial!! Amazing tutorial! And on cardoftheweek.com too!! Fabulous tutorial! Thanks! You are rocking the rosettes! 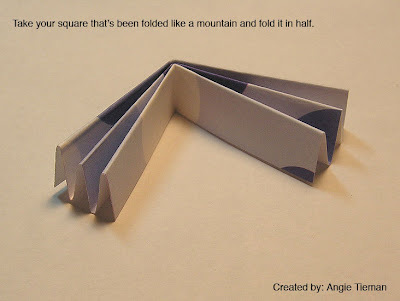 Awesome tutorial, Angie!! I am definitely trying these!! great tutorial! I love how they turned out. Thanks for the wonderful project and tutorial! 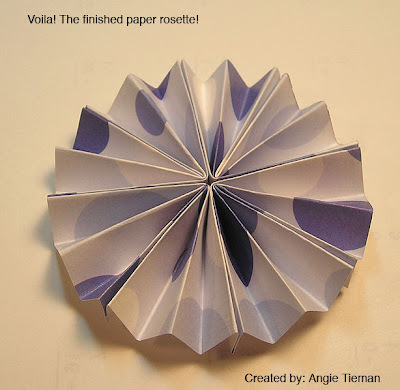 Your rosette is this week's featured project for the 3D Demo Challenge on SCS! 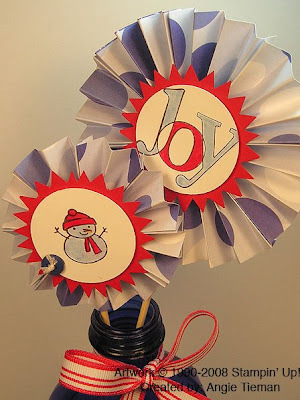 hey I just found your tutorial and I love the way you made these! I have tried a few other ways but this works the best! thanks! Treats, a Mess, and a Halloween RAK from Lori! Holiday Post-It Note Holder and RAKs!